We rejoice with the Universal Church that after years of prayerful expectation and negotiations, a historic Provisional Agreement has been entered into by the Holy See and the Mainland Chinese authorities. It was signed on the 22nd of September this year in Beijing. With this agreement “the remaining seven bishops ordained without a mandate of the Holy See will be reconciled with the Holy See and granted reconciliation, thus, lifting all canonical sanctions. This will pave the way for full and visible unity of the Catholic Community in Mainland China. In the words of the Holy Father Pope Francis, ”the new phase opening in China will help to heal the wounds of the past, and to reestablish and maintain full communion of all Chinese Catholics”. 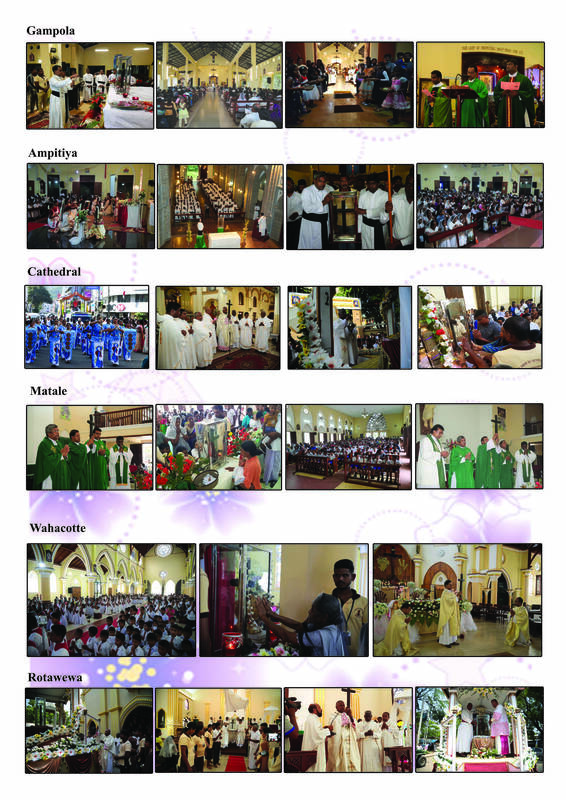 We really need to thank God our loving Father, and His Son Jesus Christ for the many blessings we received through the programmes that were carried out during the second year dedicated to St. Joseph Vaz. 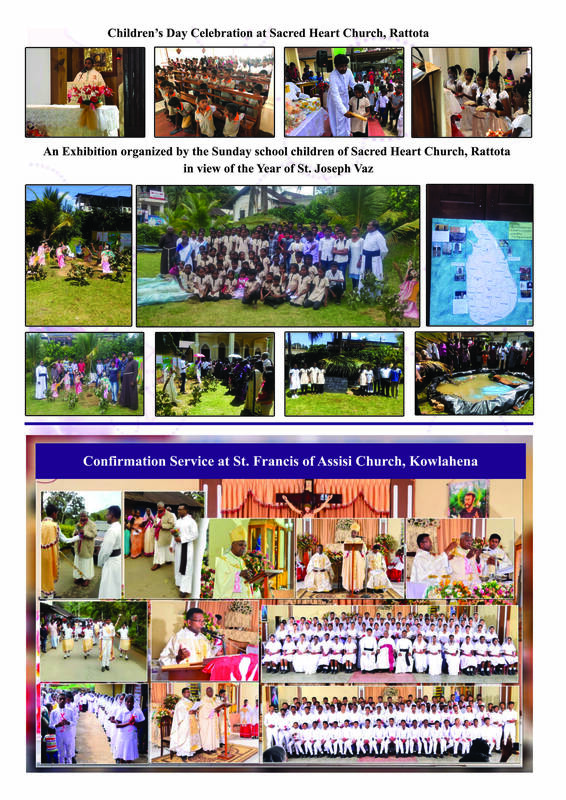 The two programmes conducted in Nuwara Eliya and Ampitiya were not only well attended but the overwhelming response of the laity was greatly encouraging. 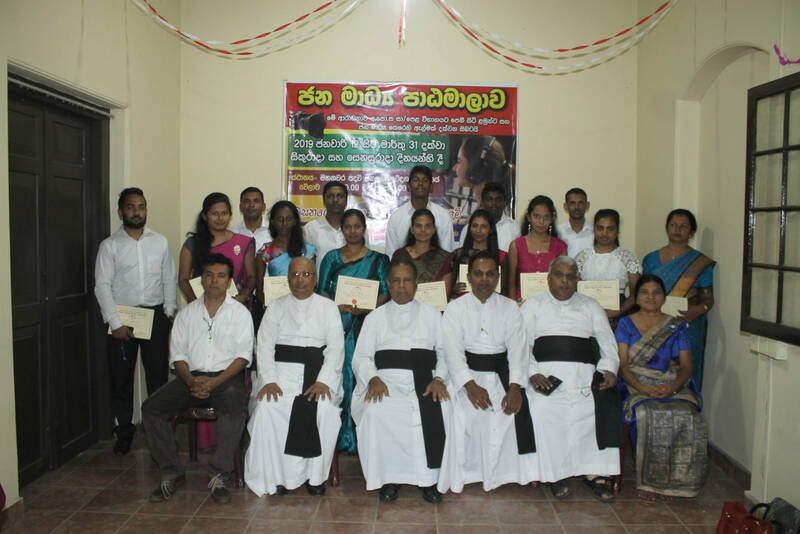 Two other programmes were held to deepen the faith of our people namely the programme of Fr. 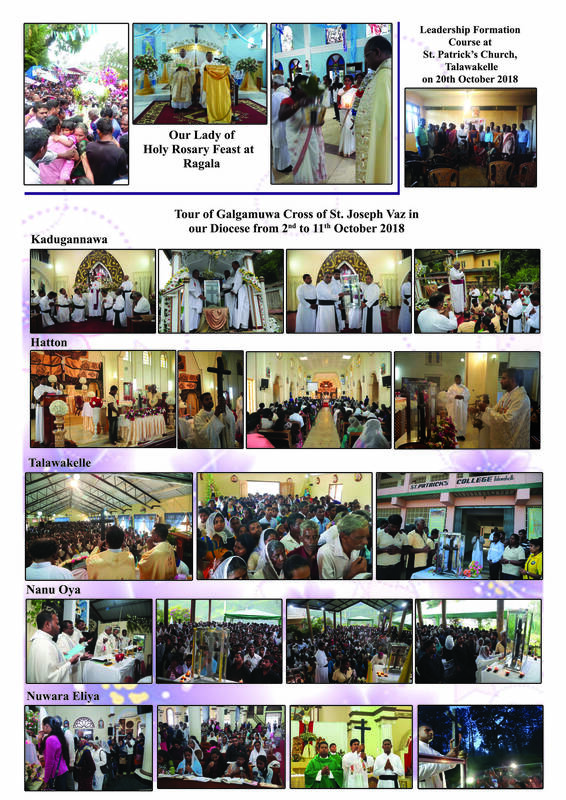 Augustine Vallooran VC of Divine Retreat Centre, Kerala, India as well as the Tour of the Cross of St. Joseph Vaz from Mahagalgamuwa. They were truly manifestations of the faith of our people and their desire to be “spirit-filled witnesses”, to Jesus Christ and the Gospel. I wish to take this opportunity to thank all our priests who worked as a team with great enthusiasm and zeal in all these events. It speaks volumes of the spirit of brotherhood and solidarity in our presbyterium when programmes are organized for God’s greater glory and the spiritual well-being of our faithful. It is now, time for us, to think about the theme for 2019 in our diocese. During the last week this matter was discussed at our Presbyteral Council Meeting as well as at the Episcopal Council Meeting and our Diocesan Pastoral Council Meeting held on the 24th of October. We were able to identify the many struggles and challenges that our faithful, as well as the people in general, are undergoing presently. The suggestion, therefore, was to declare 2019, in this seemingly desperate situation, as the “THE YEAR OF HOPE”. Our hope is rooted in Jesus the Lord and the Good News of salvation. We shall spell out in detail the objectives of the “Year of Hope” with a specific programme to be implemented through the year, before the end of this year. We shall also discuss the possibility of setting up a “ Bible-Resource-Center” in Up Country to enable our people, youth, children and families to be more acquainted with the Bible with a view to making the Word of God a source of enrichment of their Christian life. All our Apostolate directors will draw up their programmes for the next year with the theme “Year of Hope”. I wish to solicit the cooperation of all parish priests and heads of Institutions to discuss with their parishioners the ways and means of celebrating the “Year of Hope”, in a meaningful and fruitful manner. With prayerful wishes and God’s blessings. I remain. ll Saints Day For Roman Catholic and Orthodox faiths, All Saints Day honors exemplary Christians who achieved sainthood. This includes unknown Christians and Martyrs who have attained beatific vision (a form of direct knowledge and communication with God). For many Christian denominations, all Saints Day is a remembrance of departed Christian people of any time and place. Many churches remember the persons in their congregations that have died during the previous year. Churches also celebrate Holy Communion in honor of the Christians who lived before them. • In the early church, each martyr was celebrated on the anniversary on his or her death. Over time, churches began combining these observances and ultimately ended up with one day to honor all of them. • The celebration of All Saints Day began in the 7th Century in Rome when Pope Boniface IV dedicated the Pantheon. • All Saints Day is an observation held by both Protestant and Roman Catholic churches on November 1. A similar holy day, called the Sunday of All Saints, occurs in the Orthodox Church on the first Sunday after the Feast of Holy Pentecost. • In the Lutheran and some other Protestant churches, All Saints Day is celebrated with Reformation Day, which marks the beginning of the Protestant movement to reform the Roman Catholic Church. The Protestants eventually split from Catholicism. Roman Catholics also celebrate All Soul’s day, which occurs the day after All Saints. It commemorates those who have died that haven’t yet reached heaven, referring to the Roman Catholic belief in purgatory. Purgatory is a state after death in which those destined for heaven are purified. 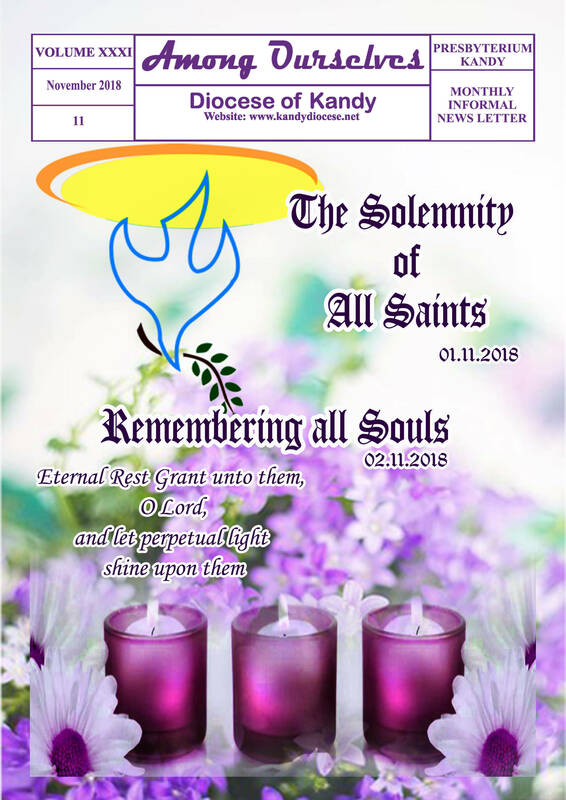 All Saints Day Top Events and Things to Do • It is popular for Mexican Christians to celebrate All Saints Day by creating shrines in their homes featuring the favorite things of their loved ones. Families often go to the cemetery and hold picnics near the graves of loved ones to celebrate their lives. • Go to church and light a candle for your departed loved ones. This is common for All Saints Day as a way to commemorate relatives and loved ones who have died during the previous year. • Some families meet on All Saints Day after church to repair and spruce up the graves of their loved ones. Tend to your family’s last resting place. All Saints Day also commemorates saints that are unknown to us. Honor a deceased person that may have contributed positively to society or your life. Consistent with these teachings and traditions, Catholics believe that through the prayers of the faithful on Earth, the dead are cleansed of their sins so they may enter into heaven. The belief in purgatory has not been without controversy. Certainly, some flagrant abuses of the doctrine were used to raise money for the Church during the renaissance. Famously, Martin Luther argued with the monk, Johan Tetzel, over the sale of indulgences. Indulgences were sold as spiritual pardons to the poor and applied to the souls of the dead (or the living) to get people into heaven. The abuse of indulgences and the blatant, sometimes fraudulent practice of selling indulgences for money, led to Luther’s protest. All Souls Day is celebrated in much of the western world on November 2. Other rites have their own celebrations. The Eastern Orthodox Church has several such days throughout the year, mostly on Saturdays. All Souls Day is not a holy day of obligation. It should not be confused with All Saints’ Day, which is a holy day of obligation. Many cultures also mark the day differently. In North America, Americans may say extra prayers or light candles for the departed. In parts of Latin America, families visit the graves of their ancestors and sometimes leave food offerings for the departed. Montini was elected as Pope Paul VI in 1963 at age 65, not long after the start of the second Vatican Council. This was a difficult time for the Church and for the world, as the “Sexual Revolution” was in full swing and the struggle for civil rights in the United States in particular was at its peak. Paul VI is perhaps most noted for his 1968 encyclical Humanae Vitae, which served as the Church’s official rebuke to artificial contraception, prohibiting its use. Paul VI died in 1978 and Pope Francis beatified him in 2014. Born in 1917 in El Salvador, Romero was auxiliary bishop of San Salvador for four years before being elevated to Archbishop in 1977. He was an outspoken defender of the rights of the poor in El Salvador, who were being terrorized by right-wing military death squads mainly because of protests over the extreme economic inequality in the country in the 20th century. His weekly homilies, broadcast across the country on radio, were a galvanizing force for the country’s poor as well as a reliable source of news. In addition to speaking out against the government’s actions El Salvador, he also criticized the US government for backing the military junta that seized El Salvador in 1979, and even wrote to Jimmy Carter in February 1980 asking him to stop supporting the repressive regime. In March 1980, Romero was assassinated, likely by a right-wing death squad, while celebrating Mass. Pope Francis beatified Romero in 2015. Born in 1751 and ordained a priest in 1775, Romano had studied the writings of St. Alphonsus de Liguori and developed a devotion to the Blessed Sacrament. He spent his whole life as a priest in Torre del Greco and was known for his simple ways and his care for orphans. He worked to rebuild his parish, often with his bare hands, after the eruption of Mount Vesuvius in 1794. He died in December 1831 of pneumonia and was beatified by Paul VI in 1963. Born in Milan in 1853, Spinelli entered the seminary and was ordained a priest in 1875. He began his apostolate educating the poor and also served as a seminary professor, spiritual director, and counselor for several women’s religious communities. In 1882, Fr. Spinelli met Caterina Comensoli, with whom he would found the Institute of the Adorers of the Blessed Sacrament. The sisters dedicated themselves to Eucharistic adoration day and night, which inspired their service to the poor and suffering. He died in 1913. Today his institute has around 250 communities in Italy, Congo, Senegal, Cameroon, Colombia, and Argentina. Their ministries include caring for people with HIV, orphans, drug addicts, and prisoners. St. John Paul II beatified him in 1992. He recovered from the gangrene and dedicated himself to helping other patients before his health deteriorated again. Sulprizio died of bone cancer in 1836, when he was only 19 years old. Pope Paul VI beatified him in 1963. Born in 1889 in Madrid, Spain, Nazaria was the fourth of 18 children. Growing up, her family was indifferent and sometimes even hostile to her desire to enter religious life, but later she led several family members back to the Church when she entered the Franciscan Third Order. Her family moved to Mexico in 1904, and Nazarie met sisters of the Institute of Sisters of the Abandoned Elders, who inspired her to join their order. In 1915, she chose to take perpetual vows with the order in Mexico City and was assigned to a hospice in Oruro, Bolivia for 12 years. Beginning in 1920, she felt a call to found a new order dedicated to missionary work. In June 1925, she founded the Pontifical Crusade, later renamed the Congregation of the Missionary Crusaders of the Church, with the mission to catechize children and adults, support the work of priests, conduct missions, and to print and distribute short religious tracts. Many opposed her work, but Nazaria pressed on. Her order cared for soldiers on both sides of the 1932-35 war between Paraguay and Bolivia, and she herself survived persecutions in Spain during the Spanish Civil war. She died in July 1943, and four years later Pope Pius XII finally granted papal approval to the Congregation of the Missionary Crusaders of the Church, which by that time had spread throughout South America and begun work in Portugal, Spain, France, Italy and Cameroon. Pope John Paul II beatified her in 1992. Born in Dembach, Germany in 1820 as Catherine Kasper, she attended very little school because of poor health. Despite this, she began to help the poor, the abandoned, and the sick at a young age. Her mother taught her household chores, as well as how to spin and weave fabric. After her father died when she was 21, Catherine worked the land as a farm hand for about 10 cents a day. Her helpfulness toward others attracted other women to her, and she felt a call to the religious life, but knew she needed to stay and support her mother, who was in poor health. After her mother died, Catherine started, with the approval of the bishop of Limburg, Germany, a small house with several friends who also felt the call. In 1851 she and four other women officially took vows of poverty, chastity, and obedience and formed the Poor Handmaids of Jesus Christ. Catherine, known in the religious community as Mother Mary, served five consecutive terms as superior of the house and continued to work with novices and to open houses for their order all over the world. Today there are 690 sisters in 104 houses in Germany, the Netherlands, the United States, Mexico and India. She died of a heart attack in February 1898, and Pope Paul VI beatified her in 1978. In his annual speech to the Holy See’s main court on Saturday, Pope Francis stressed the pressing need for effective education and preparation for the sacrament of marriage – not only to guard against invalid marriages, but also to strengthen the faith of the couple as they prepare for the unique blessings and challenges of married life. “The goal of this preparation consists, namely, in helping engaged couples to know and to live the reality of marriage as it is intended to be celebrated, so that it is possible to do so not only validly and lawfully, but also fruitfully, so that they are able to make this celebration a stage of their journey of faith,” Pope Francis said. The Pope delivers a speech to the members of the Rota, a court of higher instance at the Holy See, each January to inaugurate the court’s judicial year. In this year’s speech, Francis noted that the breakdown of faith, religious values, and belief in eternal truths, particularly regarding the family, has become widespread even among Christians, which can impact the awareness and consent with which people enter into the sacrament. 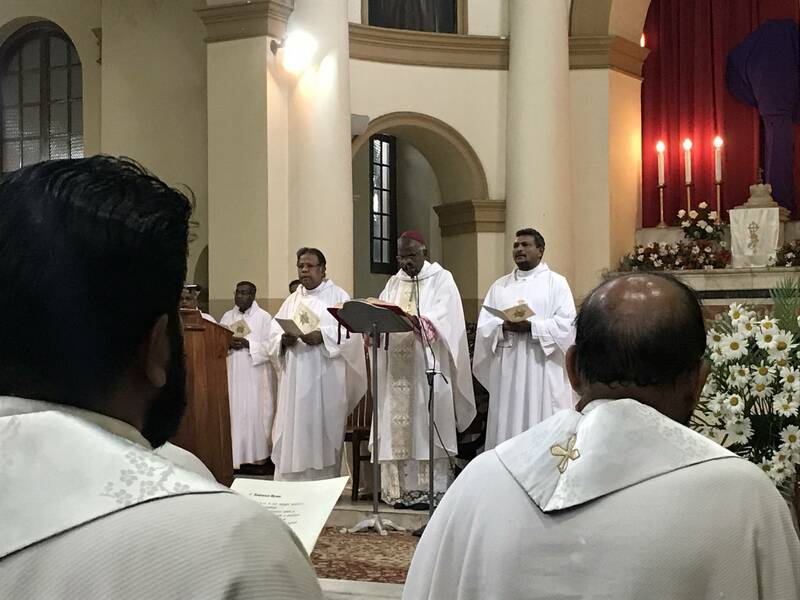 At the same time, the different backgrounds and experiences of faith of those seeking Christian marriage cannot be ignored, he said. “Some participate actively in parish life; others will come for the first time; some also have a life of intense prayer; others are, however, driven by a more generic religious sentiment.” “Faced with this situation, we need to find valid remedies,” the Pope emphasized. For many young people, the approach of marriage with all of the changes involved, can be a period of increased openness to a renewal of faith and encounter with “Jesus Christ, with the message of the Gospel and the Church’s doctrine,” the Pope said. In this regard, teaching the truth about marriage and love becomes extremely important, Francis reminded the judges. In his general audience Wednesday, Pope Francis said that engaged couples require “careful preparation” for the lifelong fidelity that marriage requires. “One cannot say marriage preparation is three or four conferences given in the parish. This is not preparation,” Pope Francis said in St. Peter’s Square Oct. 24, in a departure from his prepared remarks. “The preparation must be mature and it takes time. It is not a formal act; it is a sacrament,” Francis said. This responsibility falls on the priest and the bishop, he added. “To enter the Sacrament of Marriage, the engaged couple must mature the certainty that within their bond is the hand of God, who precedes them and accompanies them, and will allow them to say: ‘With the grace of Christ I promise to always be faithful to you,’” the pope continued. Pope Francis told a group of parish priests training on the new marriage annulment process to place strong emphasis on good preparation that isn’t limited to just a few courses, but extends even to the first few years after marriage. Marriage, he said, “is the icon of God, created for us by him, who is the perfect communion of the three persons of the Father, the Son and the Holy Spirit.” The love of the Trinity and Christ’s love for his bride, the Church, must therefore be “the center of marriage catechesis and evangelization.” Whether it’s through personal or communitarian encounters, and whether they are planned or spontaneous, “never tire of showing to all, especially to spouses, (the) great mystery” of God’s love, he said. The Pope spoke to priests participating a formation course for the Tribunal of the Roman Rota, the Holy’s See’s main court, dedicated to the new marriage annulment process, which went into effect Dec. 10, 2016. Held in Rome, the course ran from Feb. 22-25, and was closed by an audience with the Pope. The course follows a similar one held in March 2016, but which was directed specifically toward bishops. He told them to imitate “the style” of the Gospel by meeting with and listening not only to engaged or married couples, but also youth who prefer to cohabitate rather than getting married. People in these situations “are among the poor and little ones toward whom the Church, in the footsteps of her master and Lord, wants to be a mother who never abandons but who draws near and cares for them,” Francis said. Salt is an ingredient many of us can’t do without when it comes to cooking, and rightly so: food without salt can sometimes be tasteless. Although salt is also essential to our health, we all know that in excess it can bring about serious health conditions and diseases. Thankfully, there’s a healthy alternative to regular table salt that we highly recommend you try, and this is Pink Himalayan salt. Pink Himalayan salt, also known as ‘white gold’, is a rock salt that is naturally found in a non-polluted area deep within the Himalayas. It is known for its striking properties, as it contains 84 natural elements and minerals that are indispensable to our health. These include magnesium, potassium, calcium, chloride, phosphorus and iron. It also contains zinc, selenium, iodine and copper, and has traces of iron oxide (rust), which gives it its pink tinge. Unlike regular table salt, Himalayan salt is completely natural, and contains no added chemicals or additives. For this reason, it is considered to be a healthy salt. It is commonly sold as coarse grains, or even as large blocks, although finely grained versions are available.